Hello Excellent Folks of San Diego and Beyond, coming to you on this sunny (finally) Wednesday with the hint of summer in the air. I'm loving it! For the last two days I've been recording with vocalist Kevyn Lettau and we're half way done with a new duo recording slated to enter the brutality of the music business in July. I'll keep you in the loop on this. Next week I'm doing the gigs with Dianne Reeves so these evenings are devoted to learning her tunes. Nice music and cool to get to know it. 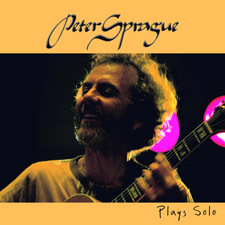 My Peter Sprague Plays Solo recording received some new ink by way of writer Jim Trageser with the North County Times. Jim dug the music and spun his words eloquently and if you want to check them out first hand, click here. Do you have that recording yet? It's patiently waiting for you here if you're interested. For this week I'll be hanging at the Roxy on Thursday night. Also this week maestro Benedetti and I are playing a special house concert in Encinitas. There are only 14 seats still left so if you want to be in the loop with us go here for more info and to buy and reserve your spot. It'll be a hoot stirring up the magic with Fred in a super creative art space located in hippie heaven Leucadia! Hope to see you there. And the last hit for this week is my solo concert at the Chula Vista Library on Sunday. Look below for details. Peter and Fred tooling up for Saturday's concert.